Tech Week: Instagram Vs. Twitter And Europe Vs. Google : All Tech Considered Instagram beat Twitter on a key metric, but Twitter's co-founder says he doesn't care. And Google's woes in Europe continued as the tech giant shut down Google News in Spain over a new law there. 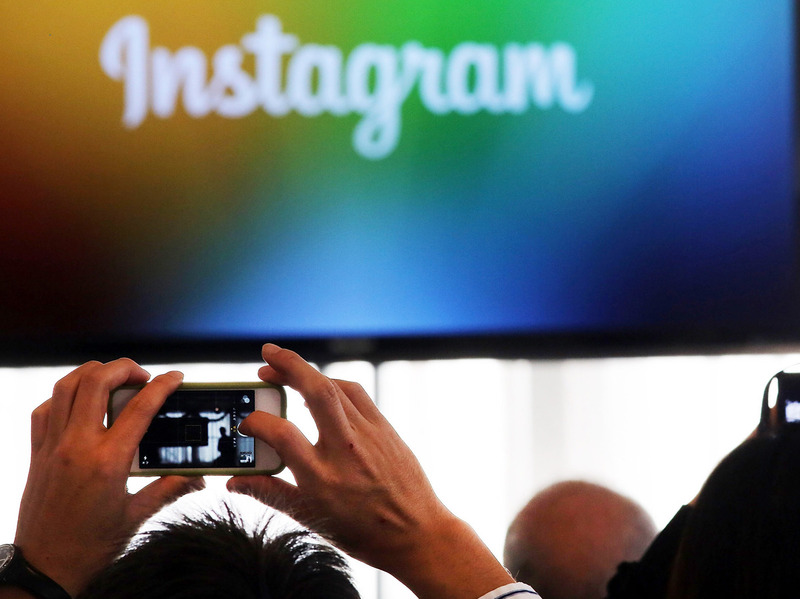 Instagram topped Twitter in active users in its latest count. If you've been too busy finalizing holiday vacation plans and buying gifts, we're here to catch you up on the tech headlines you may have missed from NPR and beyond. Rise of Ransomware: This type of virus is getting more and more common, so Aarti Shahani explains Ransomware. Security experts seem to disagree over whether to pay up when hackers install a virus that sneaks into your network and takes your files, holding them for ransom. Smart Power: This is a hectic time of year and your wee ones could pull off some shenanigans while you're too busy to notice, so Samatha Raphelson introduces us to the Brio, a power outlet that you won't have to kid-proof. Sony Fallout: The humiliating hack of Sony continues to trouble the company and its employees, from more scary warnings that indicate the hackers still have access to its servers, to reports of racist emails between executives and Re/Code reporting that Sony is striking back with denial of service attacks, in order to stop people from getting to the illegally obtained data. Google News Goes Dark In Spain: Google announced it would shut down Google News in Spain, which recently passed laws that require online services like Google to pay for the privilege of showing news snippets from journalism outfits. This has implications across sectors, but it outlines how technology is driving a transformation from "old power" to "new power." Counting active users is the wrong metric, Ev Williams says. They aren't supposed to be taking those images, but boy are their Instagram followers glad they did.